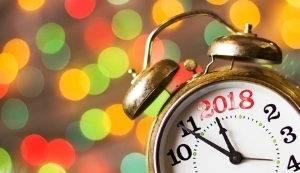 New Year’s resolutions are most meaningful in the moment we make them. Start something new. Stop something old. Pledge to be a “better” version of ourselves. Then February rolls around. We stop the something new and restart the something old. And as in previous years, we feel terrible about ourselves. Ugh. Our hearts are where we feel. Our hearts are where our truths reside. Our hearts contain our passions. There are no “shoulds” in our hearts. In lieu of resolutions, ask yourself how you want to feel in 2018. Do you want to feel stronger? Do you want to feel more connected to others? Do you want to feel more expressive? By focusing on how we feel rather than what we should do, we open ourselves to far more possibilities. Feeling stronger may mean going to the gym or not; yoga, a chin-up bar at home, or swimming are other options. Feeling more connected to others may mean going to more parties or not; inviting people for dinner, meeting a friend for coffee, or calling someone you haven’t talked with in a while are other options. Feeling more expressive may mean writing a book or not; blogging, podcasting, or speaking gigs are other options. Set yourself up for success – and happiness – in 2018 by following your heart more. Live your life your way. You’ll be amazed at how well this works for being and obtaining what you want. Sorry, resolutions, not this year.